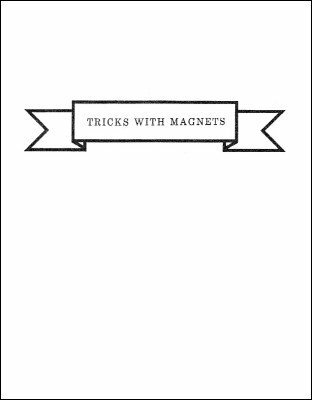 All of these clever tricks use magnets in one way or another. Nice original version of the Chinese Sticks in this e-book. Also an interesting idea with the 3 Shell Game. There is some clever thinking with magnets here. Even if some of the routines are outdated, the principles can be applied to modern routines. Great buy. The effects within this work should stimulate any magicians minds into performing them or even creating new ones.